Anil Arora, the director of Print-Packaging.com Pvt. 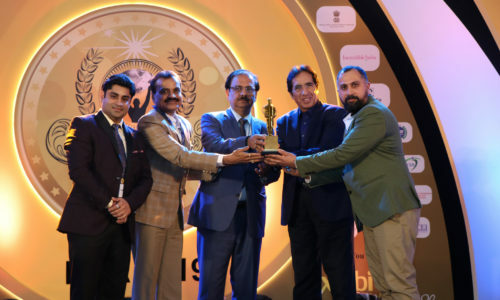 Ltd. (PPCPL) & the organiser of Pamex, and his team are pinning on their hope of the return of Pamex to the Mumbai turf plus the presence of top players across the offset and digital segments to pave way for a super-duper Pamex 2015. In an interview with PrintWeek India, Arora shares the reasons why he is upbeat about the show which will be held from 9 to 12 December. 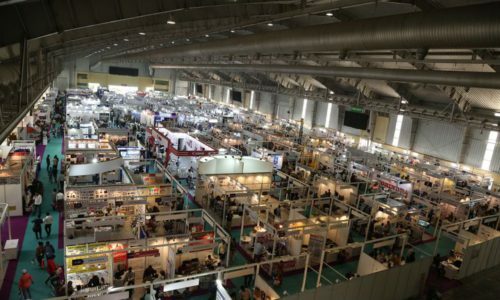 PrintWeek India (PWI): How will Pamex 2015 be different from the previous editions? Anil Arora (AA): The most successful edition of Pamex and probably the best printing event in the country yet was Pamex 2006. The subsequent editions were not able to live up to the promise of that event. We at Print-Packaging.com see it as our mandate, as an event manager, to recreate the magic of that year and surpass it, if possible. The return of the event to Mumbai has already enthused the industry. The strong booking position suggests that it will be a very much larger event than the previous editions and we are gearing up to make it also a much better-attended event. PWI: How will visitor numbers in Mumbai compare with the show in Greater Noida? AA: We are confident of generating a much larger visitor number than the previous shows in Greater Noida. Traditionally, exhibitions in Mumbai draw more visitors than in Delhi. This is because of the large catchment area in the West; in the states of Maharashtra, Goa and Gujarat. The visitors from South also feel more at home in Mumbai. Plus, the city is a short flight away for overseas visitors from the Middle East and Sri Lanka. An extensive promotional plan is contemplated to leverage these advantages. PWI: Is there an element of your company trying to tie with AIFMP because your own trade show brands are faltering? And you have to defend print and promote its place? AA: When we got into the business of organising exhibitions in early 2000’s, several of our exhibitors used to talk nostalgically about an event called Pamex that was last held in 1997. The Pamex 2006 which was held after a hiatus of nine years was triggered by our offer to AIFMP to host the event. Eventually, BMPA and MMS together organised the event and it went on to create history. When AIFMP offered us to organise the current event, we saw it as a felicitous opportunity to redeem the brand to its original sheen, a bit of which had been lost in the past two editions. Our flagship event, PackPlus which is held in Delhi, is firmly on the growth path. PWI: Do you think people will miss the offset presses like Komori and Ryobi which we saw at PrintPack? AA: I expect all the major sheetfed offset brands will be associated with Pamex 2015. Whether, Komori and Ryobi, who have already signed up for the exhibition, will display presses will depend on the availability of pre-sold presses being delivered at that time. The final plans of these companies will become known closer to the event. PWI: What is the status with digital players at the show? What is the new thing as a visitor we shall see? AA: The digital printing market in India continues to grow at a furious pace, even as the technology continues to improve and evolve. All the major digital suppliers are active in India and have already signed up for the show. While the final plans are not revealed by them, I have enough indication to stick my neck out to say that a digital feast is on the cards. PWI: There is a sizeable contingent of Chinese. Is this good for India? AA: A lot of Chinese printing equipment is coming into India and is on display at almost all the printing exhibitions. However, most Chinese companies exhibit through their agents and distributors. Several Indian manufacturers also offer Chinese-made equipment under their brand name. We are attempting to bring the Chinese companies to exhibit directly. That should bring more transparency to the deals. We also hope that the exposure to India and the growing market here should well result in some large Chinese companies eventually making in India. PWI: How are you going to attract the big print spenders and brands who are ultimately responsible for signing the cheque? AA: All the large printing and packaging companies are members of the affiliated associations of AIFMP. The exhibition itself is presented as- ‘Of the Printers, By the Printers and For the Printers’. We will use the aegis of AIFMP to make sure that all leading companies visit the exhibition. Again, moving the exhibition from Greater Noida to Mumbai should make it easier and convenient for such attendees. PWI: Is it also the responsibility of the exhibitors to get visitors to come to the show? AA: Primarily, it is our responsibility as the event organisers to get the visitors to the show. However, AIFMP as the owner of the brand, has an intrinsic interest in leveraging its strength as the umbrella federation of all printing associations to get its affiliates to proactively canvass for visitors among its printer members. Eventually, in any exhibition the exhibitors too, invite their customers and we help in that by providing ready to post, variably printed invitations in name of all the exhibiting companies. PWI: Can you give us some reasons why print visitors should come to the show? AA: We expect a lot of running machines to be on display plus product launches at the exhibition. Many companies are also going to use this exhibition to unveil their display plans for Drupa in May/ June next year. In that sense, this show will also be a curtain raiser for Drupa. We are also mindful of the value that the smaller exhibitors with niche products bring to exhibitions like these. We are therefore working to ensure that all players big and small, international and domestic are represented in a good mix. PWI: What if a printer knows he has no budget to invest in equipment in the next two years – why should he still attend? AA: An exhibition is a place to keep abreast with the latest developments in the industry and rarely a place to make spot buys. A person, who is not looking at immediate purchase, will still find a lot of value in attending an exhibition of this kind. Besides, along with the machinery suppliers, you can expect a lot of consumables and accessories on display that are needed on a day-to-day basis. We see the exhibition as a place to network, where the visitors can effectively meet people other than the exhibitors at the stands. PWI: Will there be a conference or matchmaking forum at the exhibition? 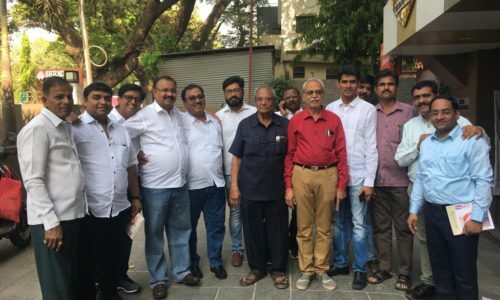 AA: A day-long international conference organised by the Mumbai Mudrak Sangh is being planned. It is expected that leading suppliers will use the Technology Hot Spot session to make the attendees aware of their latest offerings which will be unveiled at Drupa. An interesting session on using innovative print strategies for building brands and excellence is planned. A China Day is planned that may include a match-making session. PWI: What will success at Pamex 2015 look like? How are you going to measure that? AA: The pre-requisite of a successful exhibition is the right mix of participating exhibitors. This looks like falling in place. This has to be followed by adequate footfall and of the right quality and focus. We have a comprehensive plan to make that happen. The index of success is measurable against exhibitor satisfaction and is reflected in re- bookings that become evident before the end of the exhibition itself.